When you learn more about the ESTP personality type, you gain greater insight into the factors and traits that make up this personality. It will also help you to create a personal development plan that consists of the right goals. 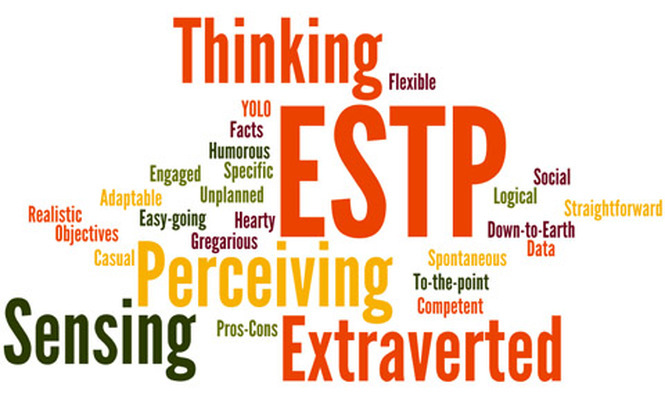 The ESTP personal loves to solve major issues and they are generally considered to be energetic thrill seekers. When it comes to interacting with the world and other people, they often bring a dynamic energy that gets everyone around them excited. They are able to quickly assess almost any situation and move quickly to start solving any problems that might be present. They use practical solutions and logic to fix things. This personality tends to be the life of the party and they put a lot of value on having a solid sense of humor. They tend to adapt quickly and are very observant of everything that is around them. This person is not sensitive, but tend to be very sociable. They like life to be silly and fast-paced and avoid situations that are serious and emotional. The ESTP person tends to be a natural when it comes to athletics and they put a high value on being coordinated and athletic. They are constantly looking for adventure and love to test their limits and skills in ways that can be both dangerous and risky. This personality like to be in the moment. They are great during emergencies and tend to not have long-term goals. Now you have more information about the ESTP personality type and you can use this information in creating your personal development plan. Make sure that when you are working on your personal development plan that you are taking note of the common traits and values associated with this personality type. This will make it easier to use your personality type to your advantage when it comes to improving your life.